When the Apple Watch hits stores next year one of its most impressive features will be the ability to use Apple Pay by simply holding your wrist up to an NFC sensor, but it looks like Samsung may be waiting in the wings with a mobile payments smartwatch of its own. A new report from Business Korea claims the company is gearing up to announce a new wearable device with a built-in fingerprint sensor early next year. According to one anonymous "high-ranking official" at Samsung the company is working with PayPal on a new smartwatch that uses biometric sensors to offer secure mobile payments. It sounds similar to the deal the two companies worked out when Samsung first announced the Galaxy S5, but scaled down to fit onto your wrist. It's unclear exactly how the new technology will work, but it sounds like the company is sticking with its swipe-to-read scanner for now. Samsung's alleged smartwatch seems like a pretty clear response to Apple's new watch and payment service, though the South Korean company may have an edge if it does include a built-in fingerprint scanner. Touch ID is noticeably missing from the Apple Watch, though the company's developed an alternate security system for the device. If Samsung can pull off a fingerprint-scanning smartwatch it could be a big deal, though its recent biometric efforts haven't always worked as well as advertised. 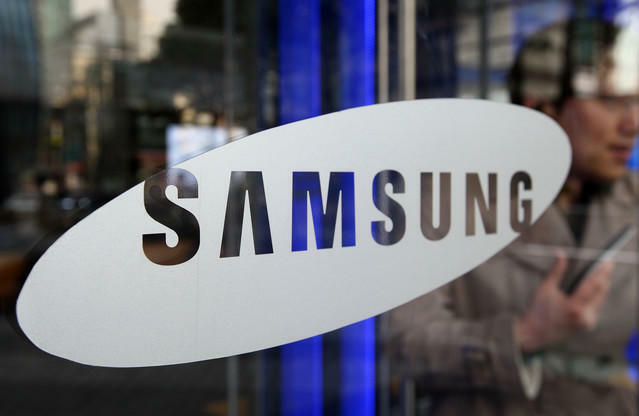 According to Business Korea the new Samsung smartwatch could launch at Mobile World Congress in February, giving the company plenty of time to perfect the device. We'll be keeping an eye out for any more news on the alleged new wearable, though we're not surprised to hear that Samsung has an answer for the Apple Watch up its sleeve.